The rate of joblessness in the Euro zone has reached 10.8 percent, this is indeed high. More unemployment means less purchasing capacity by the consumers and people of a particular country or economy. It is not clear when the economic conditions in Europe will improve, so that unemployment rate and other macroeconomic indicators will start to improve. Fiscal bleeding in the Euro area continues, as the average budget deficit (expenditures are larger than revenues) reaches 6 percent of GDP. This is twice the original target of 3 percent of GDP maximum among EU member economies. More budget deficit simply means more borrowings, when those governments should in fact reduce borrowings to limit the pile up of their public debt. GLOBAL business sentiment has worsened sharply, according to the latest Economist/FTsurvey of over 1,500 senior executives, conducted by the Economist Intelligence Unit. The balance of respondents who think the world economy will improve over those who think it will worsen fell from minus 5 percentage points in April to minus 25 in July…. Overall, 42% of executives now reckon business conditions will worsen… that Europe’s biggest problem will be economic uncertainty. 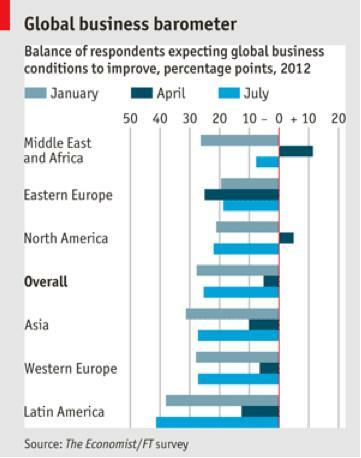 More than 60% believe economic conditions in the euro area will get worse in the next six months…. Since the public debt problem in Europe and North America will linger for many years to come, the gloom will most likely stay in the medium term. After leaving this blog inactive for many months, we are reactivating it with more regular posts, hopefully. Thank you for checking our site from time to time. The WB-IFC’s Doing Business 2012 Report was released a few months ago. In terms of ease of doing business, our two neighbors, Singapore in the south and Hong Kong in the north, ranked 1st and 2nd worldwide, respectively. The Philippines though ranked a very far 136th. The discrepancy in Philippine government’s business regulations policy with Singapore and Hong Kong is too far. Let us hope that the Philippine government will do something to improve and ease the procedures in doing business in the country. Persistent bad economic news plus statements from the heads of the IMF and WB that the US economy is inching closer to a “danger zone” sparked another sell off in the US and European stocks the past 2 days or more. 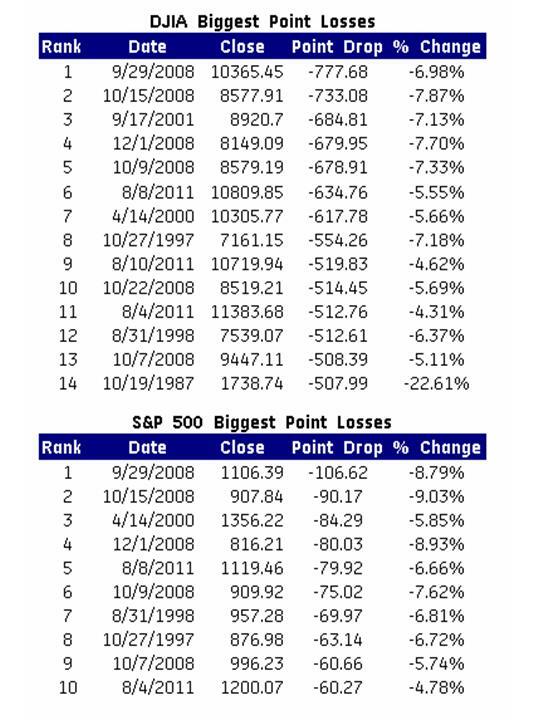 Note that 3 of the top 14 biggest losses in Dow Jones Industrial Average since 1987 have occurred this year — August 4, 8 and 10. Not a good day to end the week. The gross international reserves (GIR) of the Philippine central bank has grown by almost $5 B from July to August 2011. It is possible that the GIR might reach $80 B by the end of this month or next month. The bulk of such reserves though, are in the form of foreign investments. 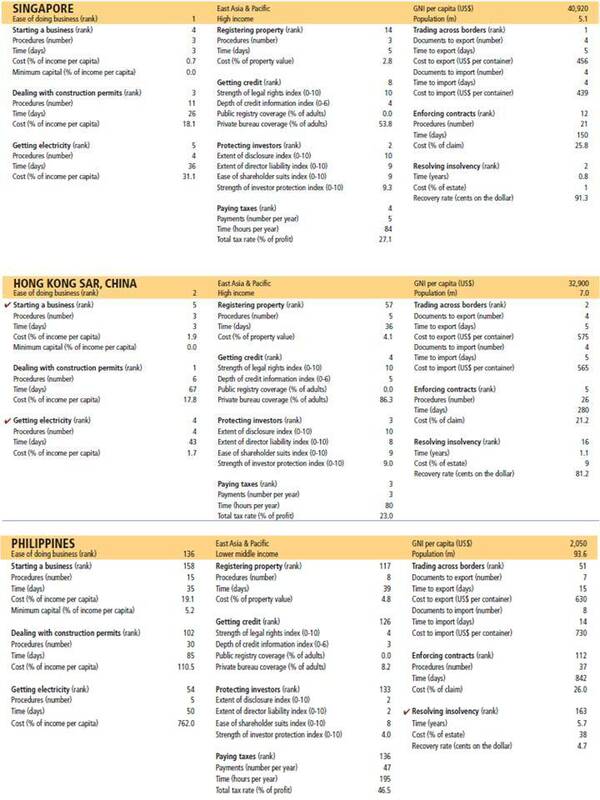 With what is happening in Europe and the US, many foreign investors are putting their money in many emerging markets like the Philippines — in local equities, bonds, the peso, etc. 1. 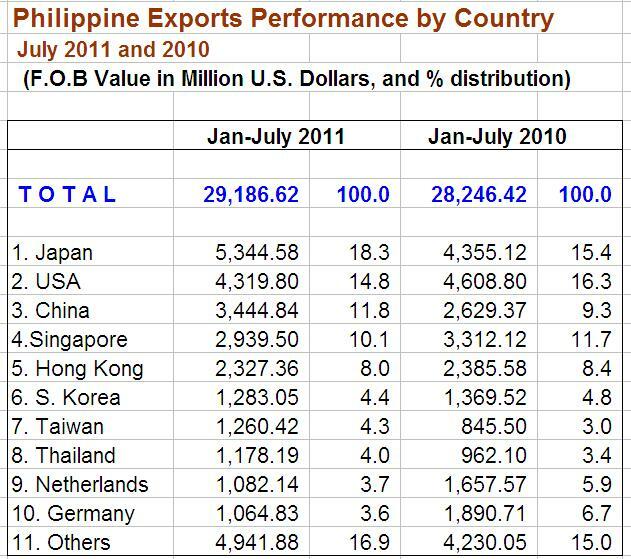 Despite the damage to the Japan economy as a result of the big earthquake + tsunami last March, Japan’s imports from the Philippines has increased by almost $1 billion from Jan-July 2010 to Jan-July 2011. 2. There was a substantial decline in Netherlands and Germany importation from the Philippines over the said period, combined decline of $1.4 billion. US importations from the country also declined but by a smaller amount, only $289 M.
3. The increase in importation from China, Taiwan, Thailand and other countries have covered up the decline in importation from Europe and US. Alas, Oplas & Co., CPAs - RSM syndicates its weblog posts and Comments using a technology called RSS (Real Simple Syndication). You can use a service like Bloglines to get notified when there are new posts to this weblog.